Hydraulics have proved popular in many power transmission systems due to their ability to transmit a lot of power, while using relatively little physical space. Such characteristics make hydraulic systems ideal for a variety of applications, especially within motor-sport. They are used to handle ABS and power-assisted braking, and clutch, gearbox, and throttle actuation. In sports such as Formula One, designers initially used similar systems to those within the aerospace industry, which were obviously scaled down to suit the cars. But now these systems are being designed with applications such as Formula One in mind, appealing to the weight watching culture that is prevalent in the sport. Although all Formula One cars are required to have a minimum weight of 600kg, designers are constantly keen to trim down the weight of each system within the car, shedding unnecessary grams. This therefore means that it is important to use a system that is both incredibly powerful, as well as being as light as possible. That is what makes hydraulic systems so popular, with some sub-miniature servovalves generating 5hp of power at a fraction of the weight and size of an equivalent electric motor. The small size of these valves, along with their steel construction, permits thin walls without excessive internal stresses. Designers can build in a significant safety factor without a dramatic impact on weight. Along with weight, designers within Formula One also have to consider the impact of excessive heat. Hydraulic systems can operate at temperatures of 135ºC, compared to about 60ºC for typical industrial systems. Industrial systems usually include large reservoirs or heat exchanges to keep fluid temperature down. Hydraulic reservoirs in Formula One only hold around 20-30 cc, meaning that temperatures can quickly rise. Instead of using air coolers, which would add unwanted weight and create aerodynamic drag, valves are built to handle the heat. One of the main consequences of these high temperatures is low oil viscosity, meaning that any large clearances in the valve will generate internal fluid leakage, energy loss, and heat. In order to prevent this, the radial gap between the valve spool and the body is only 1.25 mm. 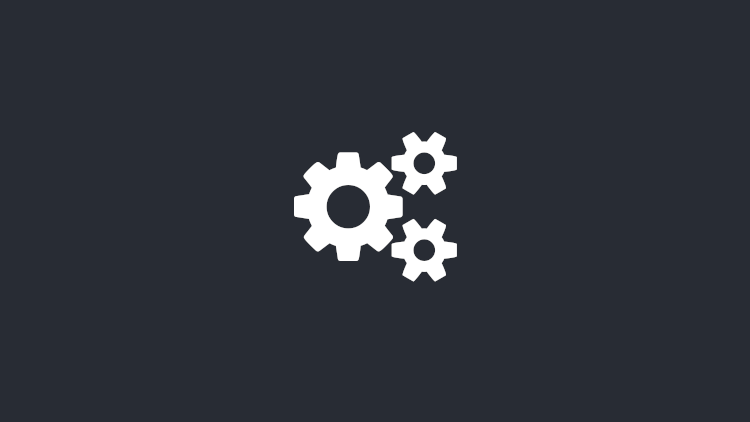 Servovalves are usually serviced after around 20 hours of operation, and disused after 60. Maintenance often involves dismantling each component before being visually inspected. Components that are replaced include all the Orings, which are tiny 10 mm filters inside the valve that provides protection against contamination, and the thin-walled stainless steel tube in the pilot stage. Some car components only require on-off hydraulic control, including engaging reverse gear and opening an access door to the fuel filler. 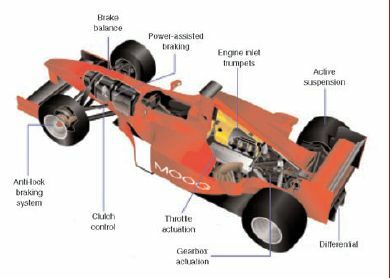 In Formula One cars however, there is a special clutch-disengagement system, which is used when the car is either involved in an accident or breaks down. Oil stored in an accumulator can be routed into a clutch slave cylinder simply by pressing a button on the dashboard, allowing the car to be pushed off the circuit. There are other disciplines of motor-sport that are taking advantage of hydraulic machinery. Rally cars use servovalves for power transmission control and on suspensions to improve handling. They are also expected to one day be used in Moto GP. Hydraulic actuators are here to stay, and it’s likely that they will become smaller, and lighter in the future.